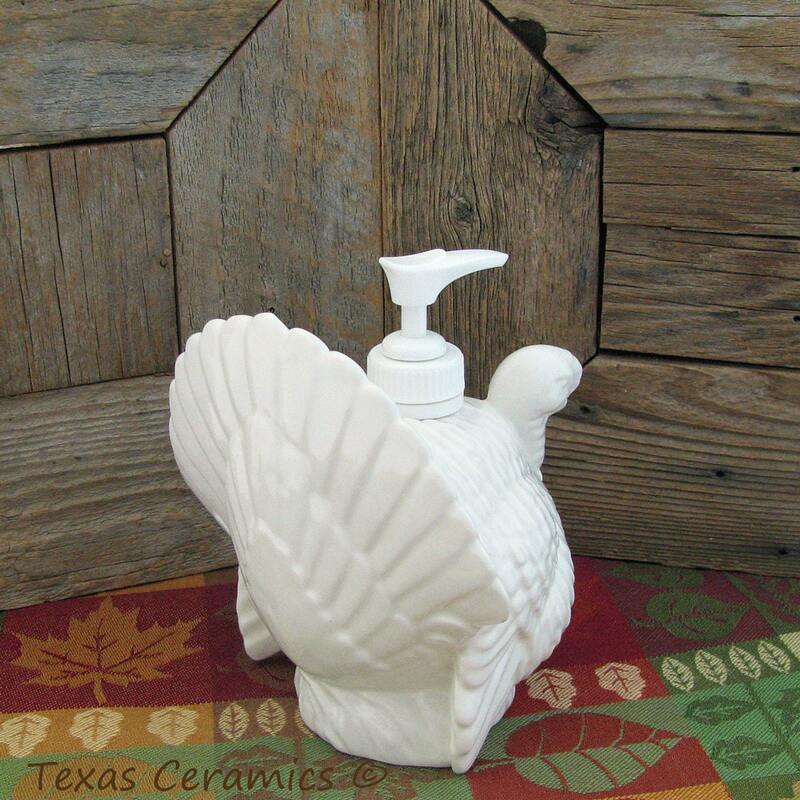 This ceramic turkey soap dispenser is made to hold a generous amount of any soap or lotion. 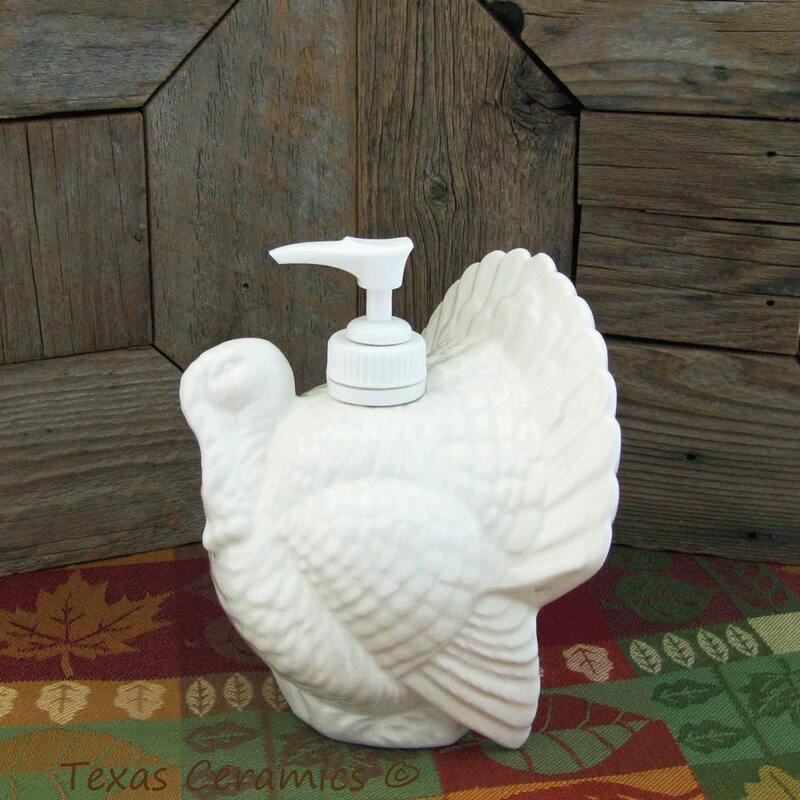 This turkey dispenser makes a great accent for a rustic setting as well as a great way to dress up any area for Thanksgiving, Halloween or Christmas. 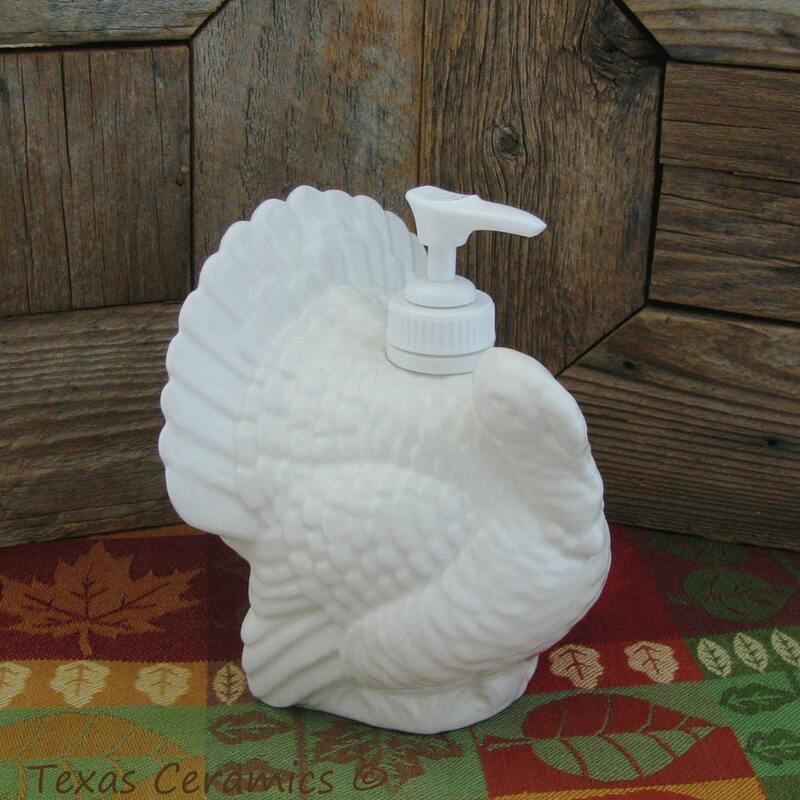 Use in the kitchen or on a bath vanity. 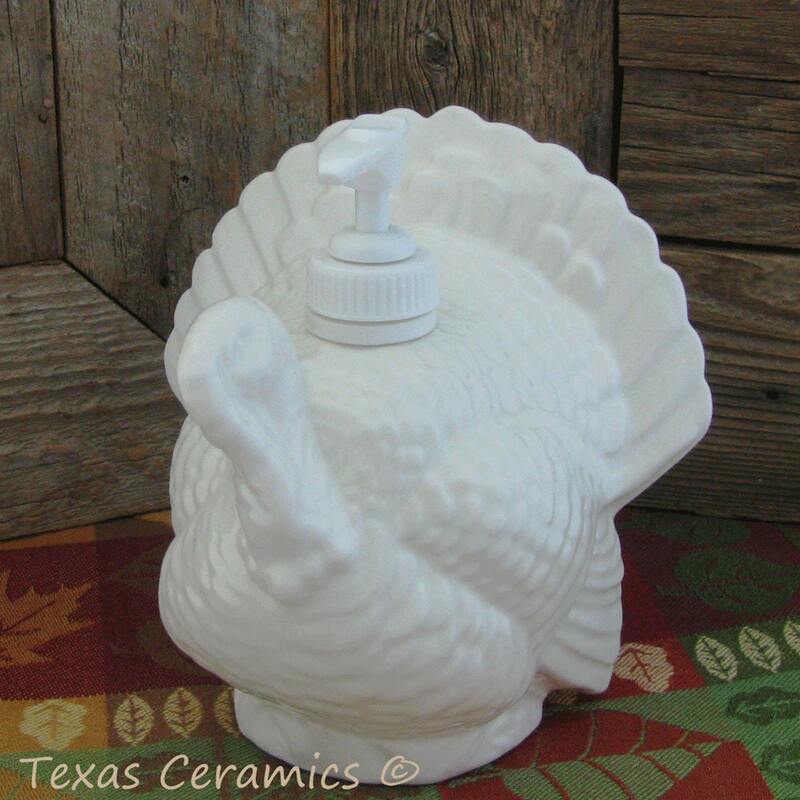 The turkey is finished in lead free milk glass white glaze. Made to Order, the processing time is below in the Shipping Section. 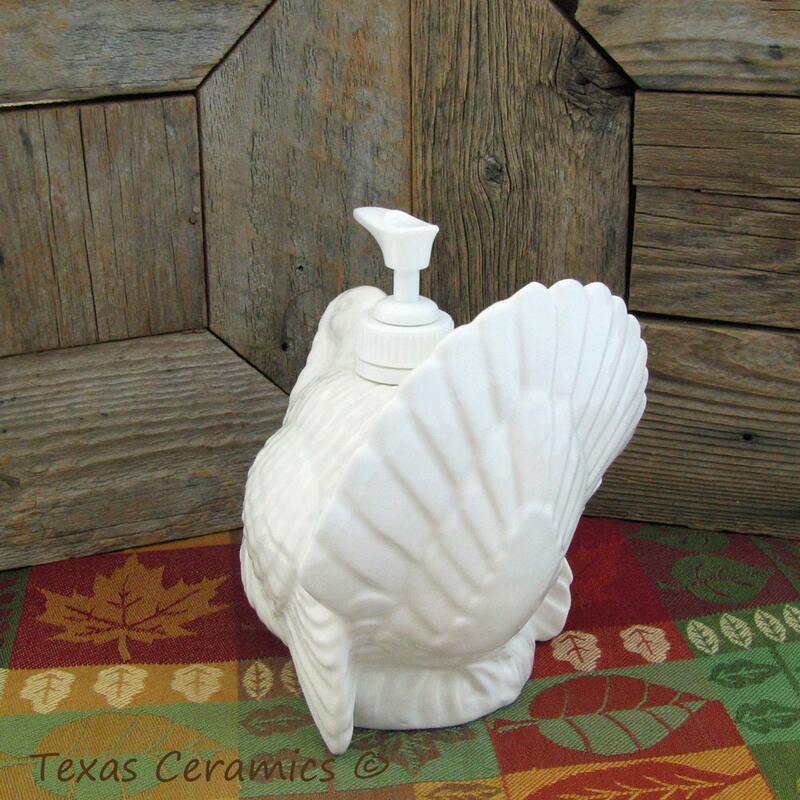 This dispenser is made of domestic slip and kiln fired to bisque then glazed with lead free glaze. To help keep this dispenser in pristine condition the inside is glazed so it is completely waterproof, moisture from liquids can't be absorbed by the bisque. Dispensers that absorb moisture are more likely to have the outside surface flake and peel. The pump unit is secured to the top with a threaded collar that is affixed with strong epoxy glue.